Is Dream of a Lifetime a Scam or Legit? Read Reviews! Save that date! 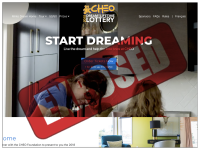 Dream of a lifetime lottery out of Ontario, Canada might just give you that – your dream of a lifetime. The grand prize is a 5,539 square feet home on a 43-foot lot (pie shaped) with $100,000 cash, a 2018 Jeep Wrangler (or cash) shopping from St. Laurent Shopping Center, and Farm Boy, sports tickets, moving assistance. The only downside is you have to actually be in Ontario to purchase tickets. This fundraising raffle has a bunch of different dates that you should pay attention to. There are three-ish stages. The YOU & U2 draw goes on the 28th of September 2018. The winners – there are 100 tickets – for a pair of day passes to the RBC Bluesfest in 2019 plus one ticket for a pair of tickets to the Dublin U2 concert 10th November including flights and accommodation. All winners go back into the barrel for the next draw – which is an early bird draw on the 16th of November. This is for 2,600 tickets to receive a bonus ticket plus an additional draw on the 18th of December for a package of $129,289.95. Finally, the Dreamofalifetime.ca’s draw closes on the 7th of December for the big draw. The draw takes place on the 9th of January 2019 and is televised. This includes the original 73,900 tickets sold plus 2,600 early bird tickets. That’s still pretty good odds. All tickets drawn for the preliminary prizes are put back in to go for the jackpot. This is a dream home fully furnished, plus the car and a bunch of other things thrown in. The house is in a place called Creekside (near Ottawa, Ontario) and you have the right to live it in or sell it. An add-on to the Dream of a Lifetime game is the 50/50. Players that opt to play this have the ability to buy into the 50/50. Tickets can be purchased 1/$10, 5 for $25 or 15 for $50. The prize depends on the actual number of tickets sold with a minimum guarantee of $250,000. The draw takes place on the 9th of January 2019.
Who Can Play at Dream of a Lifetime? Anyone who wants to play must purchase their tickets while actually in Ontario, Canada. It doesn’t matter where you are from – but you’ve got to be there to do it. You can purchase your tickets online, by telephone or in one of the outlets tickets are available. Oh sorry – you do have to be 18 years or older to win. Winners are notified how to claim their prize – and must be claimed by the 9th of July 2019. As a winner, you also have to agree to let them use your name and photo for publicity purposes. Dream of a Lifetime Lottery supports the Children’s Hospital of Eastern Ontario. It’s a great combo of playing to win and supporting a great cause. They are registered in Ottawa Ontario, with a snail mail and email address, plus phone numbers – though they are available for questions only during EST business hours. Would you mind rating Dreamofalifetime.ca ? I love these combo lotteries that give a chance to win at the same time the money I spend goes to a good cause. Nice combo! I also like the odds of winning something. We’re not talking a mega jackpot but a nice prize. This site gets a thumb’s up. Of course, it is frustrating that you actually have to be in Ontario to buy a ticket – then again, maybe a nice reason to take a trip.